At SME Solicitors we understand that a conviction for a motoring offence can be very restrictive to clients who use a vehicle as part of their daily life. 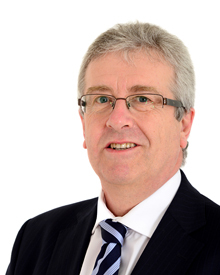 Our department is headed up by Brian O’Connell, who has over 30 years experience in dealing with motoring offences from minor to the most serious. A founder member of the Worcester Duty Solicitor Scheme which provides advice and assistance to persons in the Police Station on their arrest, he regularly appears in the Magistrates Court. Brian has established an enviable reputation as an Advocate and has a particular interest in motoring law, where he regularly secures an acquittal for clients, against the odds. His experience and knowledge of motoring law has enabled many clients to retain their driving licences following trial or a guilty plea. ‘Totting Up’/Penalty Points – 12 points on your licence usually means a minimum of 6 months disqualification, however experienced legal representation can reduce or avoid a ban. This is particularly important for those who drive for a living. The more time you spend on the road the greater the chance of points – the more important it is that you keep your licence. Brian can represent you in Court to give you the best chance of avoiding a totting disqualification. Careless/Dangerous Driving – More easily committed and more easily caught than you might think. Quality representation keeps the penalty down and the points off your licence. Construction and Use – Worn tyres, blown bulbs, blown fuses, excess weight and more, all carry penalties and are particularly troublesome for business drivers. Brian can guide you through these rules and regulations. Drink Driving – The penalties vary for drivers just over the limit after a couple of drinks to those more seriously over the limit. Often the quality of the mitigation explanation makes a difference of hundreds of pounds in the fine, or months off the length of disqualification. Guilty Plea – If an offence has clearly been committed often the best option is to admit the offence, but then to concentrate efforts on securing the minimum penalty. Experience gives an Advocate the judgement to know what to say and how to say it. Brian has that experience. Serious Motoring Offences – Some motoring offences carry very serious penalties, some of which have come about as a result of media publicity of recent years. Do not underestimate the potential impact of these offences. Brian can advise you on the law and procedure and likely sentence for all motoring offences and in particular can advise on that crucial decision – whether to plead guilty or not guilty. Speeding – Statistically eventually almost every driver will be caught speeding. As soon as you receive a ticket or a summons let us know so that we can review the evidence, check for loopholes and secure the best result. Trial – Taking a case to trial can be a daunting business but sometimes there is no alternative. You are innocent until proven guilty. Brian provides the calm, experienced and objective assessment to advise you on plea and to conduct your case to a successful outcome. Contact us today on 01905 723561 or email us at info@smesolicitors.co.uk for further information.